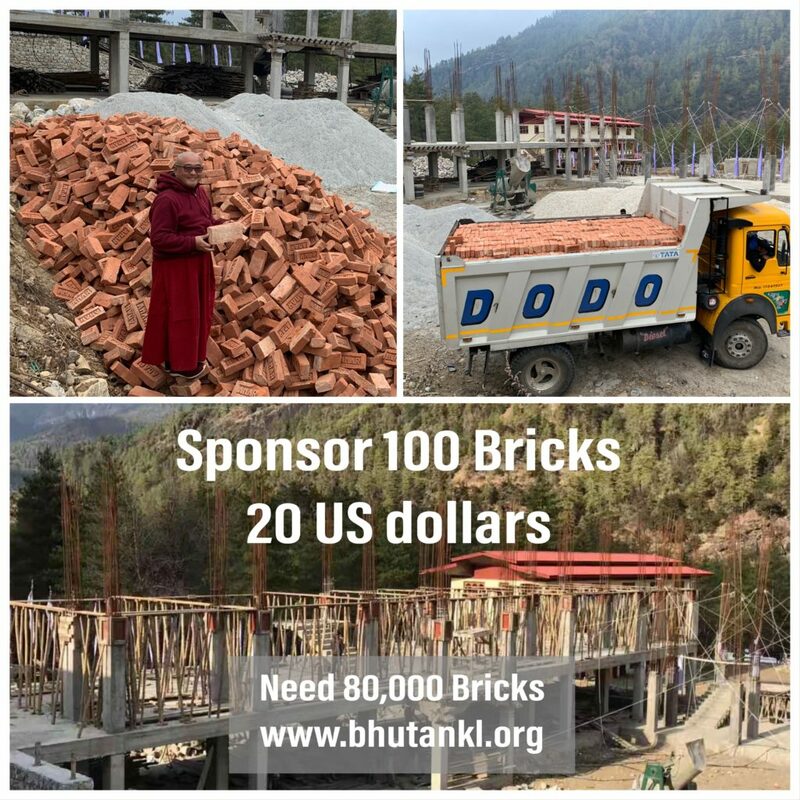 We need your support as we have no other choice but to import the bricks for our classroom building from India. One truck can carry 4000 bricks costing 56,000 Bhutanese Currency including a tax of around 798 US Dollars. We need around 20 trucks to complete the classroom building. That means we need around 16,000 US Dollars to cover the expense. 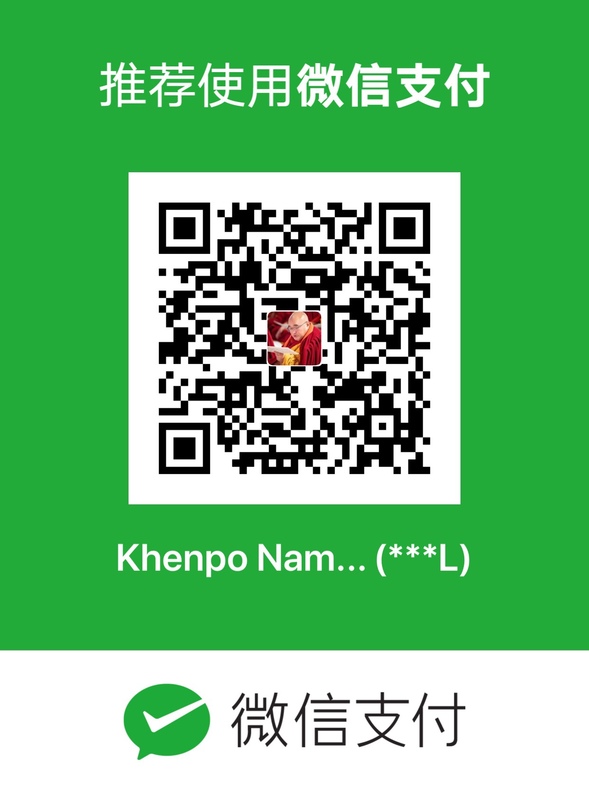 As 100 bricks cost 20 US Dollars I request each of our dear friends to support just 100 bricks or more. 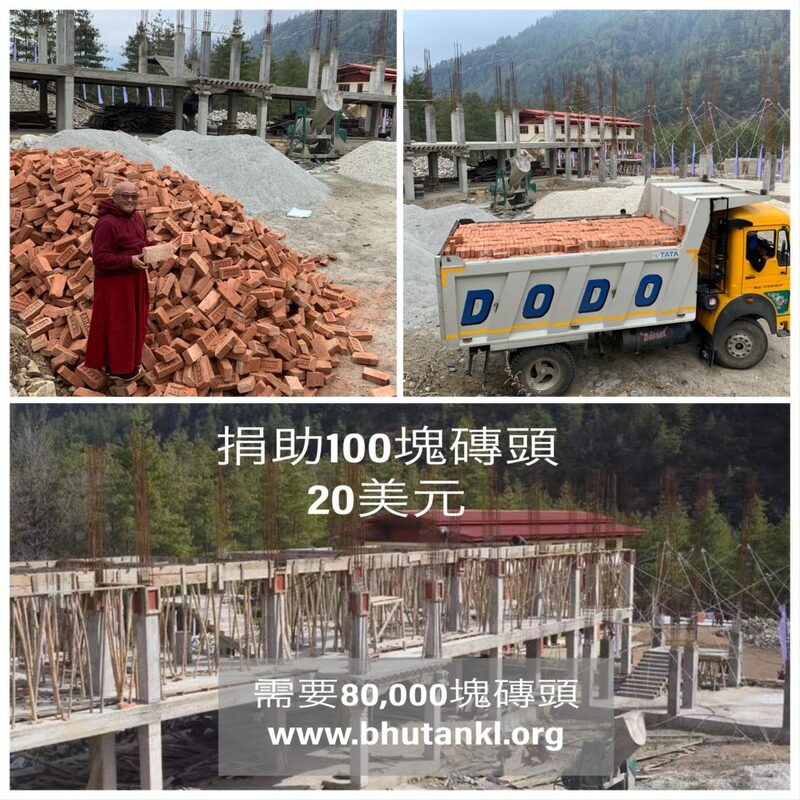 With all of your support our classroom building will soon be completed to quickly become a center of a good Buddhist and a general eduction as well. May the Three Jewels bless us.